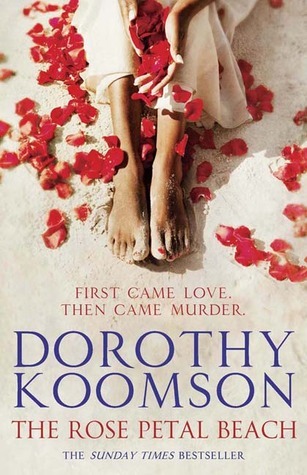 Dorothy Koomson is fast becoming one of my favourite authors, and this is definitely the best of the four books I've read by her (though the others were marvellous too!). I think the thing about her books is that on the surface they look quite light and fluffy - the covers are always very pretty and girly and this one is no exception. And while her books initially masquerade as chick lit they are actually much more thoughtful and deep and thought-provoking, and never fail to touch me in some way. It's actually very difficult to say much about the story in The Rose Petal Beach without giving anything away. The main characters are Tami and Scott and their two little girls, a family who appear perfect in every way. We learn how Tami and Scott met - at school - and we see their relationship develop from friendship to soul mates to love. We also meet Tami's two best friends, Beatrix and Mirabelle. The women all live in the same street and we learn a little about their lives, both from Tami and from them individually. The title of the book comes from a painting hanging on Mirabelle's wall and by the end of the novel, when all the strands have been unravelled and untied and put back together again, we understand the significance of the title and it's an impassioned, emotional moment. This book has an astonishingly real cast of characters who entered my life for a week and are unlikely to leave for a long while. Everyone was shown to be likeable yet human and therefore weak and fallible and full of faults, and the author wasn't afraid to show us those faults, often in painful, shocking detail. The book twists and turns, with every character struggling to tell the truth for fear of the impact it would have on everyone else, and while I felt a little confused by the ending it didn't detract from this being one of the best books I've read this year. Highly recommended. Sign into Goodreads to see if any of your friends have read The Rose Petal Beach. I too was confused by the ending, but you're right it didn't spoil the story. The ending did make me go "what?" but I was fine with it.